Rush (Equisetum) cut into lengths that fill the container tight with flowers tucked in and between. Aluminum wire strung with small lengths of Rush (Equisetum). Rosemary cut, placed in a bunch in the container with flowers. Foam wrapped in aspidistra (or large leaves). A straw with bright cupcake holders with a hole cut in center with ribbons attached. 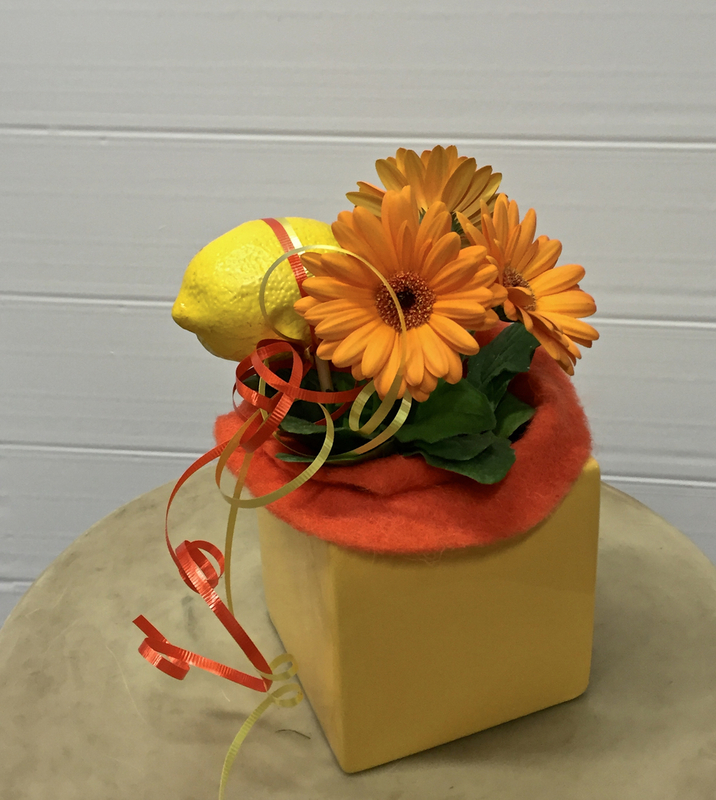 Gerbera plant wrapped in wool ribbon or decorative paper, napkin that matches the table décor. Fresh lemon wrapped in ribbon, and streamers with two hyacinth stakes to hold it steady. Small irregular shape container, with rolled aspidistra laves that reach out or even to the top of the container. 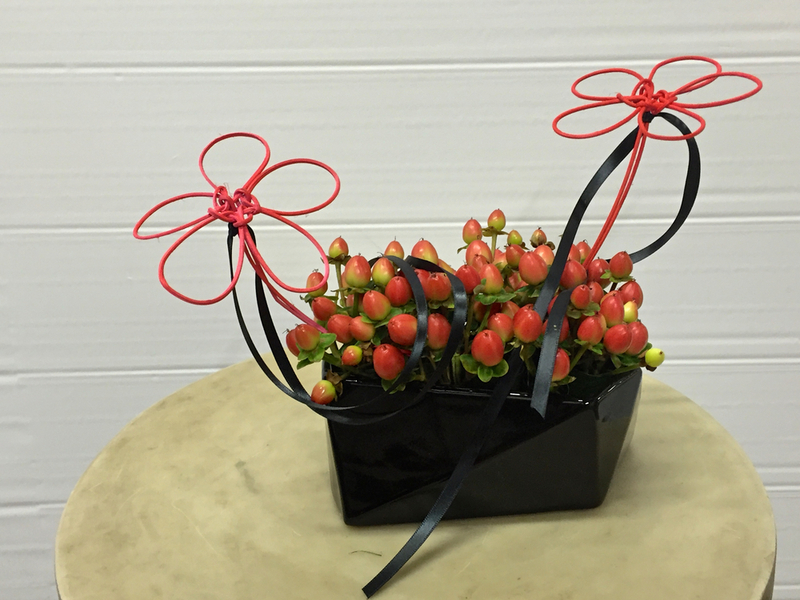 Cut Hypercom short to fill the container, add decorative accents and ribbons to suit your style. Medium rectangular thin vase. Steel grass placed in in vase with stems straight. Stems on the top are randomly bent stems. Insert any straight stem into the bent stems. The Bloom’n Cocktails are shown in small irregular shaped containers that seem challenging to design in. Here are a few “Irregular styles” of mechanics to blend style with container. Remember all are interchangeable and welcome your personal creativity and experimentation. When you find or create something you love, send a picture to me at: abeveridge@koehlerdramm.com. We will post the top 5 submissions on thespiritedtable.com and if you so desire, we will attach your name to your submission. Top 5 will receive a floral arranging surprise!